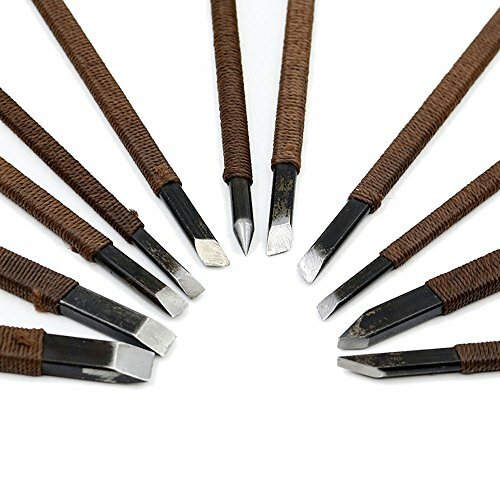 Set of 11stone carving tool with silk wrapped around the outside, not astringent does not slip, is an indispensable tool. This manganese steel chisel is double-edged, weighty,and the head is finer than ordinary carving. It should only stone engraved chapter and organic glass, not for jade, porcelain, crystal, cobblestone, marble, bluestone and other hard materials. If you have any questions about this product by CSLU, contact us by completing and submitting the form below. If you are looking for a specif part number, please include it with your message.